This app seems more like a game than an actual design platform but it can provide a base look if you are fiddling with a particular design. It can give a visual of what certain design elements, colors and shapes will look like when combined together. It is an entertaining way to kill some time because you actually drag ingredients into a bowl and "mix up" your cake or similar to life you can use a virtual boxed mix to make your cake. You then get to select the style of your creation from tiered to sheet to various shapes and bake. The decorating options are where this app might be useful for throwing ideas around for your real cake. 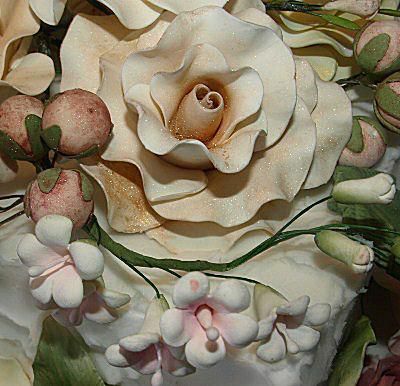 There are dozens of icing colors, fondant, flowers, candles, toppers and other options. This is obviously not an app that will be used for intense realistic looking cake designs by professionals but it is fun and for 99 cents it really does not break the bank. This interesting app is more valuable for cake designers who want to learn some of the basics but do not want to attend a class or spend the money on internet designed instruction. Will you learn everything needed? Of course not but foundation skills such as frosting cakes, stacking, fondant work and working with food coloring is definitely achievable. Sweet dreams has many tutorials that show step by step instructions as well as the lists of required tools. The one flaw in this app is there accompanying text for the tutorials rather than actual sound. This might be frustrating for some users. The recipes included in the app are quite straightforward and it includes an easy icing color mixer for your convenience. The app is $4.99. Wilton is one of the most trusted names in cake decorating so it is no surprise that you can download a comprehensive app that highlights the cake design possibilities that exists while using their products. Does this app point people in the direction of Wilton supplies? Of course it does but that is really no hardship because Wilton has countless tools that make design work easier and more attractive. The Wilton Cake Ideas & More app is wonderful for getting design ideas or spring boarding your own imagination. There are literally thousands of pictures of cakes, cupcakes, cookies and cake pops divided into easy to navigate categories. When you click on a particular design the next frame offers complete instructions of execution of the project, tools needed, techniques, reviews and questions. It also lists the level of design experience required to produce the project which can save time and reduce the risk of disaster! The app is free so you can enjoy all this wonderful information without any cost or risk to you.